Translation studies in India is an evolving discipline. Historically, it was only in mid-nineteenth century that the translation became a significant intellectual issue in India when the question of ‘imagining a nation’ became problematic with the realization of multilingual and multiethnic nature of Indian society. While the idea of nation as a linguistic and cultural unit based on the Eurocentric model started appearing clearly inadequate, translation started to appear as an urgent cultural necessity for nationalistic, indologicial and orientalist projects. 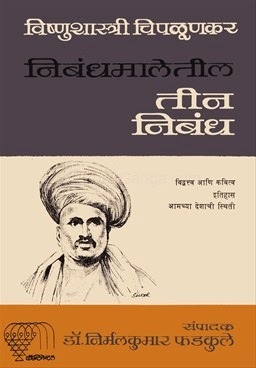 The earliest writings on translation in India emerged during this period of the rise of print capitalism and Vishnu Shastri Chiploonkar’s Nibandhmala in Marathi in 1874 can be seen as one of the earliest attempts to intellectually confront the issue of translation. Practitioners and thinkers of this period like Romesh Chander Dutt, and Sri Aurobindo reflected on translation from nationalistic, indological and orientalistic perspectives. The source language, needless to say, was largely Sanskrit and the target language was very often English. It was only in post- independence period, that the dissatisfaction with the nationalistic, indological and orientalist idea of culture and nation made Indian intellectuals to search for alternative models of theorizing and reflecting on nation and civilization. The questions of regional and linguistic identities became prominent during the processes of linguistic reorganization of states. The questions of caste and gender identities and the movements against discrimination and injustice started gaining ground. In such a context, the idea of nation as an elitist upper caste, upper class and patriarchal construct started being vigorously interrogated. The little magazine movements challenging the predominant formalist and idealist poetics also started questioning the political underpinnings of the established literary culture. It was against this politics of interrogation and revision that the questions of translation started being posed. The major practitioners and scholars of this period like AK Ramanujan, Dilip Chitre, Sujit Mukherjee among many others approach the questions of translation in the context of this shift from nationalist, orientalist elitist framework to more regional/ local and demotic outlook towards culture and nation. This shift is clearly noticeable in their choice of source languages and texts which are very often from the marginalized oral, folk and ‘native’ traditions or from bhashas instead of Sanskrit. Their reflections on translation also reveal these re-visionary attitudes. However, most of the thinking about translation practiced by academics in this period not just in India was around the ‘problems’ of translation very often in a normative way and limiting itself to viewing translation as a process. Internationally, the shift from this normative, process-oriented and hierarchic view of translation to more descriptive, product-based, ideological and subversive view of translation emerged only with the rise of ‘translation studies’ as a discipline in the nineteen seventies. The late nineteen eighties and nineties was an exciting period for the discipline of translation studies in India. Seminal writings like GN Devy, In Another Tongue: Essays on Indian English Literature (1993), Sujit Mukherjee’s Translation as Discovery and Other Essays on Indian Literature in English Translation (1994), Tejaswini Niranjana, Siting Translation History, Post-Structuralism, and the Colonial Context (1995) and invaluable anthologies like Promod Talgeri, and Verma. S.B. eds. 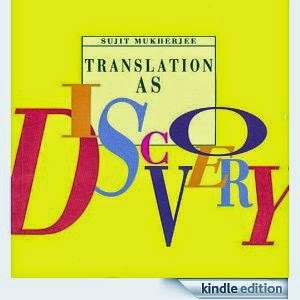 Literature in Translation from Cultural Transference to Metonymic Displacement (1988), AK Singh ed. Translation: Its theory and Practice (1996) , Dingwaney, Anuradha and Carol Maier.(eds.) Between Languages and Cultures: Translation and Cross-Cultural Texts (1996) S.Ramakrishna ed. Translation and Multilingualism. PostColonial Contexts (1997), Tutun Mukherjee ed. Translation: From Periphery to Centrestage (1998) and Susan Bassnett and Trivedi eds. Post Colonial Translation: Theory and Practice. (1999) burst upon the scene. Most of these writing build upon the reflections and practice of translator-scholars like A. K. Ramanujan. 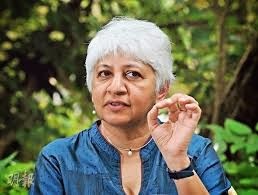 These writings are not only informed by the ‘ cultural’ turn in translation studies but also draw heavily upon theorization of postcolonial studies, gender studies, Dalit studies and post structuralism.